We talk a lot about cyber security – the act of protecting and strengthening your computers and internet based systems from unintended or unauthorized access, modifications robbery or all out obliteration. In particular, we try to remind smaller and medium sized business owners that just because they are not a big corporate doesn’t mean they won’t be a target. In fact, over the last year the attacks on smaller businesses have skyrocketed, in part because they aren’t as well protected. So this year, we urge you to take a look at your cyber security systems and see which of these key security measures you are missing. One of the most basic essentials of cyber security is a good anti-virus solution. This is often the first line of defence for your business and acts as a protective net for your networks – catching anything untoward that might try to come through. Most anti-virus software sold today also comes with anti-malware measures, programmed to detect and remove all forms of malware, from adware to spyware and ransomware. These scanners also help scan emails for potentially dangerous attachments and remove them before they can be opened. 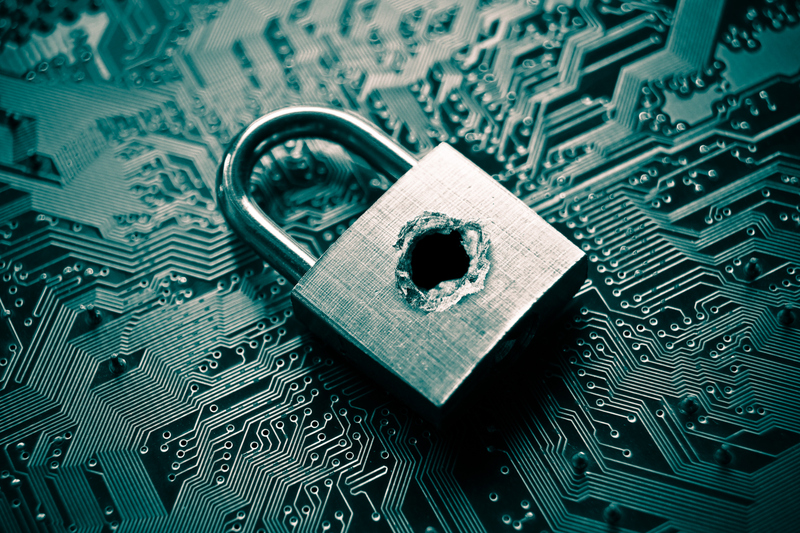 To prevent basic hacking attacks, you should be using complex passwords across your business. All computers and many web based applications require some form of security entry to allow access, usually in the form of passwords of secure questions. So whatever your answers, make sure they are as complex as possible. Never use memorable dates like birthdays or anniversaries. Instead, try to create random strings of letters, numbers and symbols to make them as hard as possible to crack and impossible to guess. If you struggle to remember these chains, use programmes like Last Pass, which store your passwords across the web so you don’t need to remember them. Along with anti-virus on each machine, your entire network should be protected by a strong firewall. Your firewall should work alongside your anti-virus, acting as a finer filter to catch things your anti-virus might miss and protecting your network traffic, both in and outbound. This can stop hackers from attacking your network through websites, block sites that contain malware and stop incoming messages that contain suspicious attachments. It can also be programmed so that the sending of confidential data is restricted. For businesses that deal with highly sensitive data, such as credit card details, bank accounts, social security keys or anything similar, you should consider data encryption. Even if you feel it might be overkill, encrypting your data can protect your data far beyond stopping it being stolen. Encryption software means that even if your systems are somehow compromised and the data stolen, the thieves will not be able to read it unless they had the encryption keys. This adds an extra layer of protection and a failsafe should the worst happen. One of the biggest issues to date with business security is not the robustness of the IT systems, but the people within the organisation. Your employees are your biggest risk point, simply because they can be tricked. So make sure you educate your employees on the basics of cyber security, including how to recognise phishing emails, what to do if they come across one and to never open an attachment from someone that you aren’t expecting. Phishing emails are becoming more and more sophisticated, so they look like they are coming from trustworthy sources and replicate genuine communications to the point where many people click the links out of fear. In order to protect your business from malware, hackers and scams, you need to erect a complex web of cyber security measures. Once in place, these systems will largely tick along by themselves, catching viruses and preventing attacks in the background. For more information on the types of protection we can offer or to find out what would be right for your business, get in touch with one of our experts today.